We are FREE because we are run by donations: please help keep us open. Open from 10 AM to 5 PM everyday. See our cool LIVE bugs, explore bizarre bugs under the microscope, look through glasses that let you see like a bug, and even watch busy ants in our giant 8 foot long Ant Farm! We have the weirdest and most interesting bugs on display for you to see up close. Over 15 kid friendly exhibits to explore. See fascinating LIVE Reptiles from around the world UP CLOSE AND PERSONAL and learn about them. See our extensive insect collections. 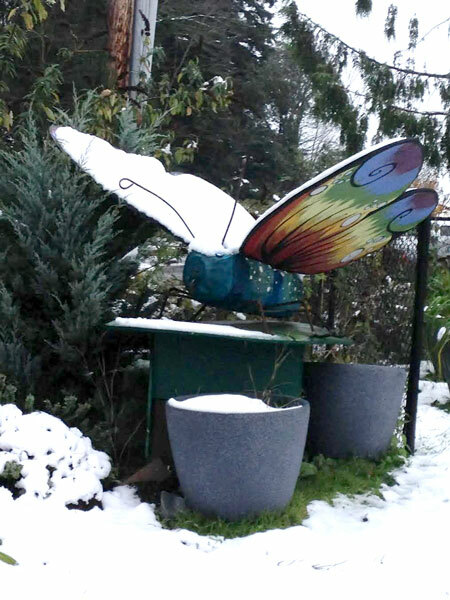 Bug Museum Butterfly Sculpture in 2016 Snowstorm. Myrna S.
©Bug Museum. Looking for FREE things to do in Bremerton, WA for kids? 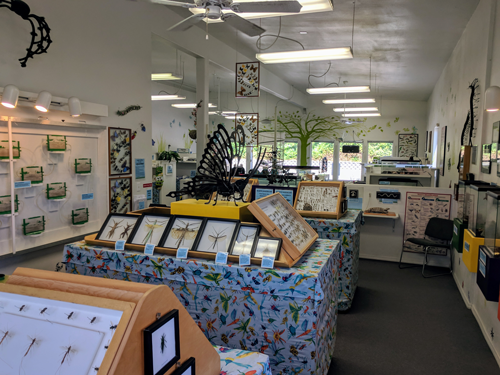 For FREE family fun, our Bremerton Museum is the thing to do: our Bug Museum and Reptile Room have LIVE insects and reptiles from around the world. The most Educational and Fun Bremerton thing to do in Kitsap county.